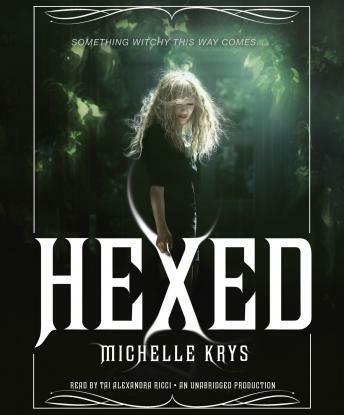 The perfect scary-with-romance read after you've binged Chilling Adventures of Sabrina, HEXED is about a teen witch with a shadowy future . . . it's Bring it On meets The Craft in a spellbinding series debut. Indie Blackwood is a popular cheerleader with a football-star boyfriend. On the surface, her life looks perfect. But when a guy dies right before her eyes and an ancient family Bible is stolen, Indie's world spirals into darkness. Turns out, Indie has a destiny. And it involves much more than pom-poms and parties. If she doesn't get the Bible back, every witch on the planet will die. And that's seriously bad news for Indie, because according to Bishop, the hot warlock who has an uncanny knowledge of everything that matters, she's a witch too. Indie is about to uncover the many dark truths about her life—and a future unlike any she ever imagined on top of the cheer pyramid. Want more HEXED? Don't miss the next HEXED book, CHARMED.